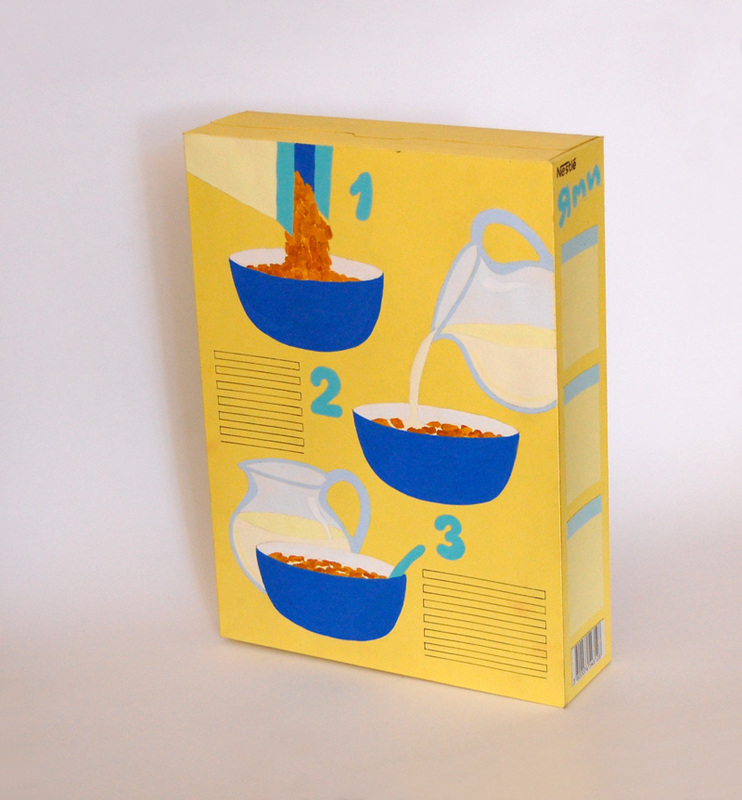 I made this cereal box when I was in High School. 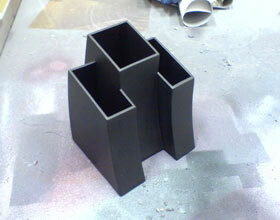 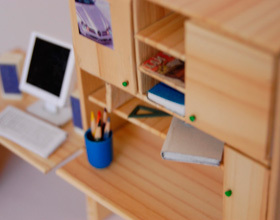 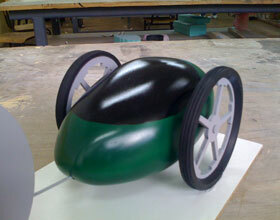 The task was to create a box or a package and then to come up with a concept for its design. 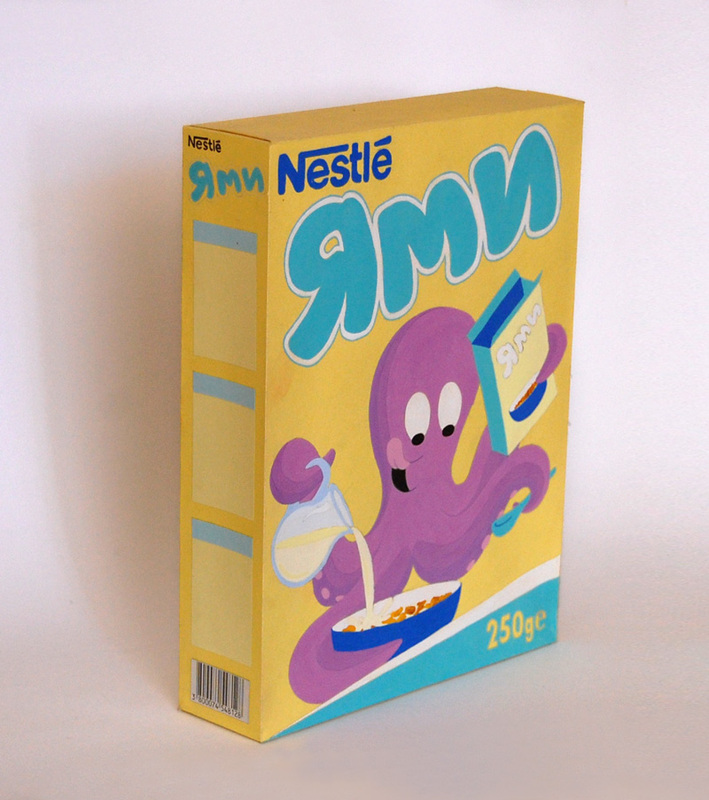 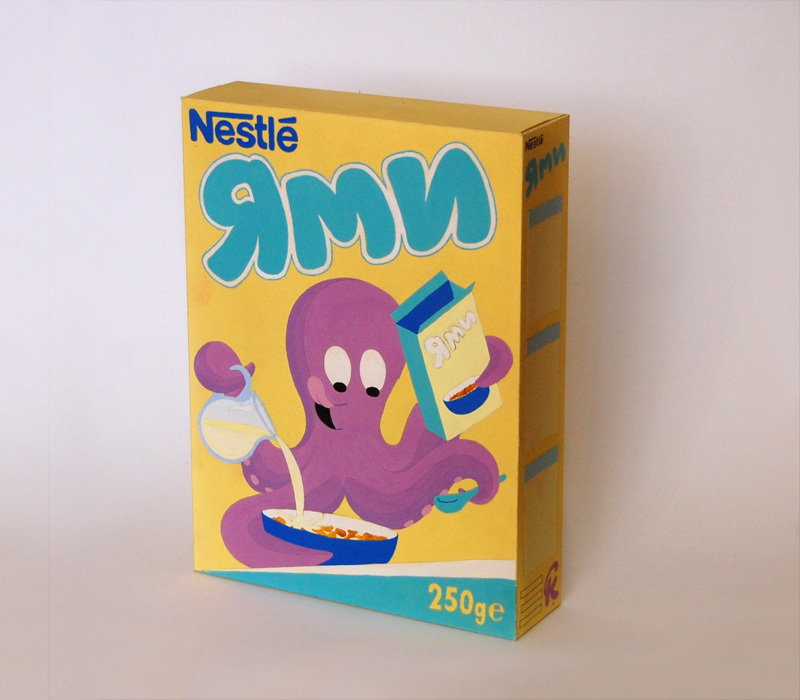 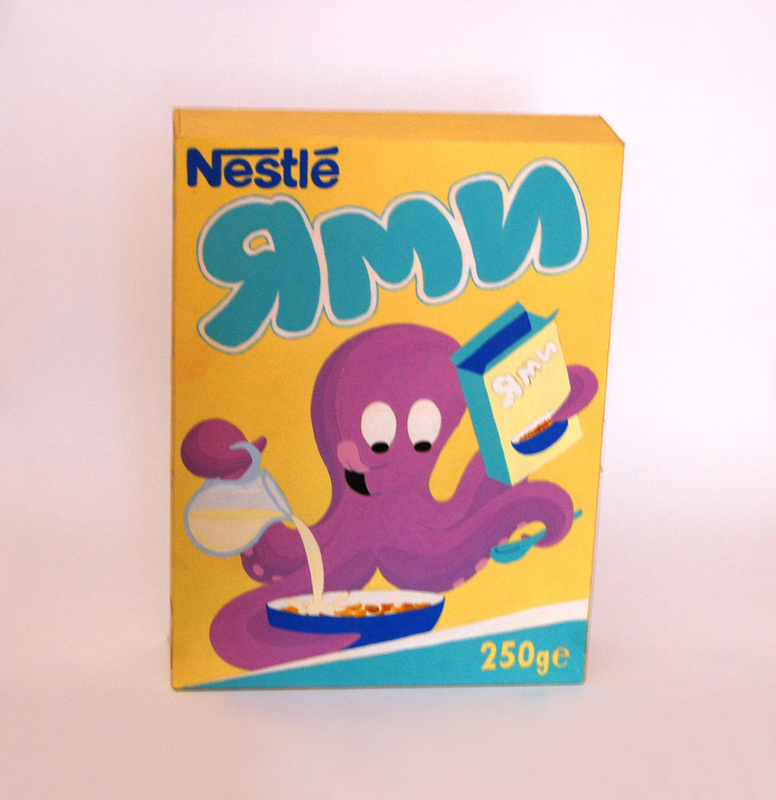 So the idea of having an octopus as a character for the cereal box is that it can use all of its tentacles at once - quickly open the box, pour the milk and the flakes and dig in with the spoon into the tasty cereal.